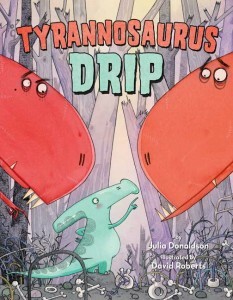 Tyrannosaurus Drip is a lovely rhyming story with great illustrations for young children. 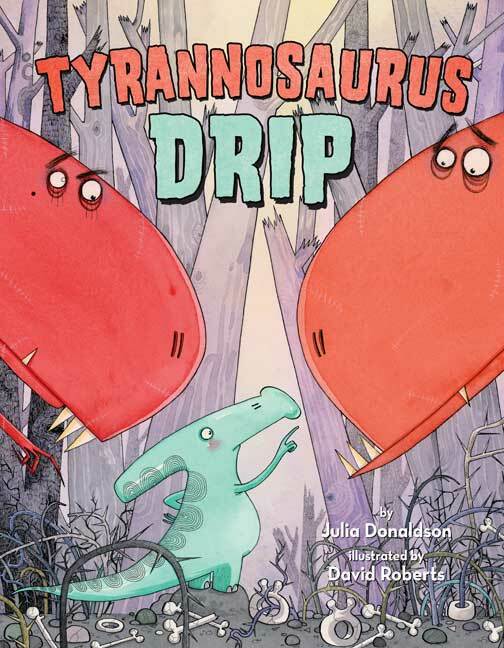 It’s all about a vegetarian duckbill dinosaur called Drip who ends up being raised by a T Rex family, after his egg lands in their nest. The story is similar in many ways to the Ugly Duckling. Poor little Drip doesn’t fit in with his meat-loving family. Eventually he runs away and shows that he can outsmart the fierce, but rather stupid T Rexs.